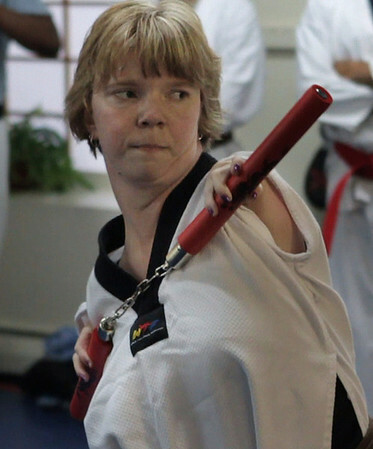 Peabody: Sheila Radziewicz uses her nunchucks during a recent class at Bruce McCorry's Martial Arts School. Sheila is currently a brown belt. She was born with thrombocytopenia or TAR syndrome. Photo by Mark Lorenz/Salem News.